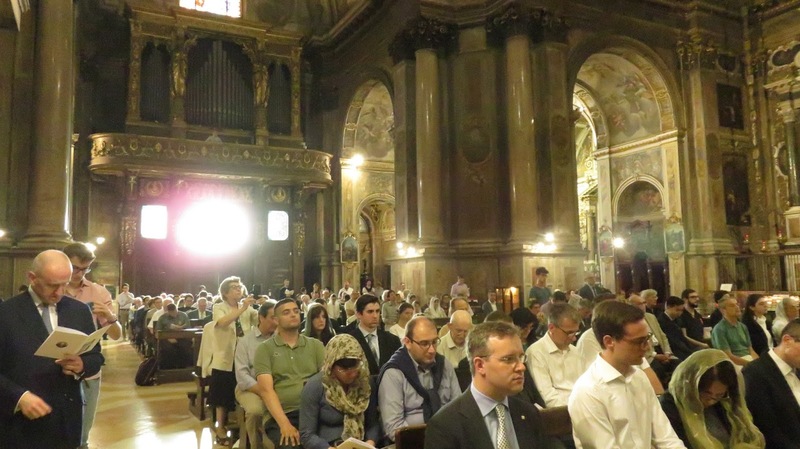 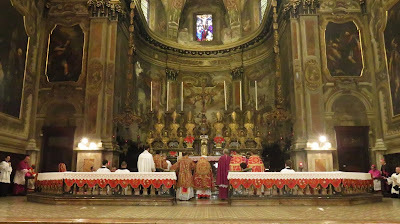 As many of you will know, Sacra Liturgia is hosting a liturgical conference in Milan as we speak (see details here), the territory of the ancient and venerable Ambrosian rite. 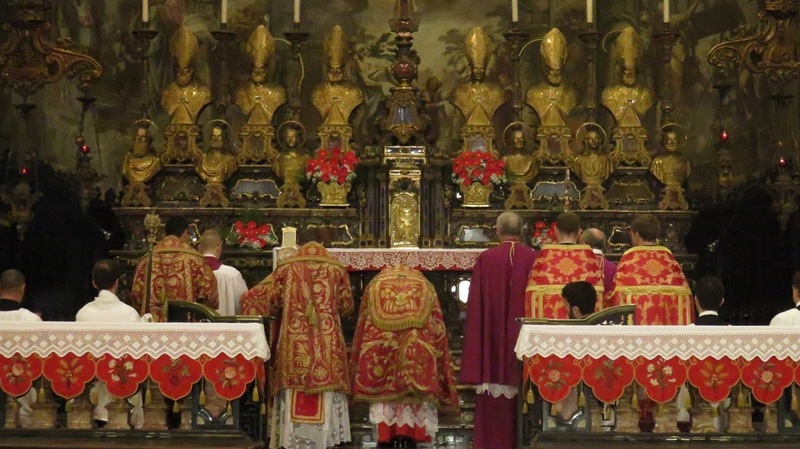 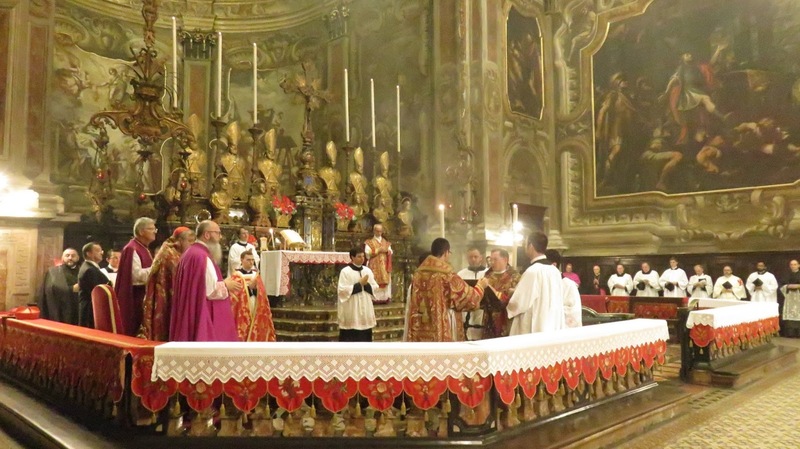 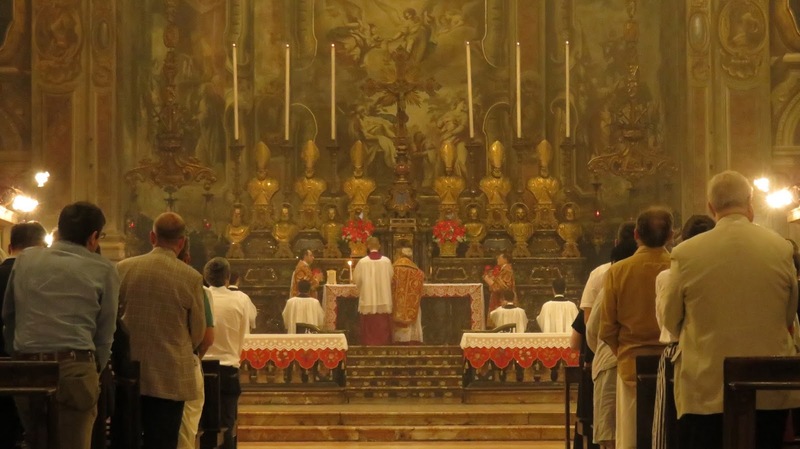 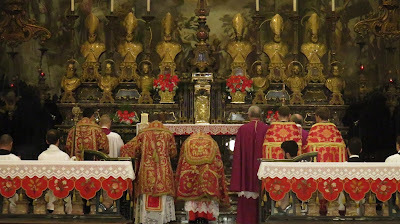 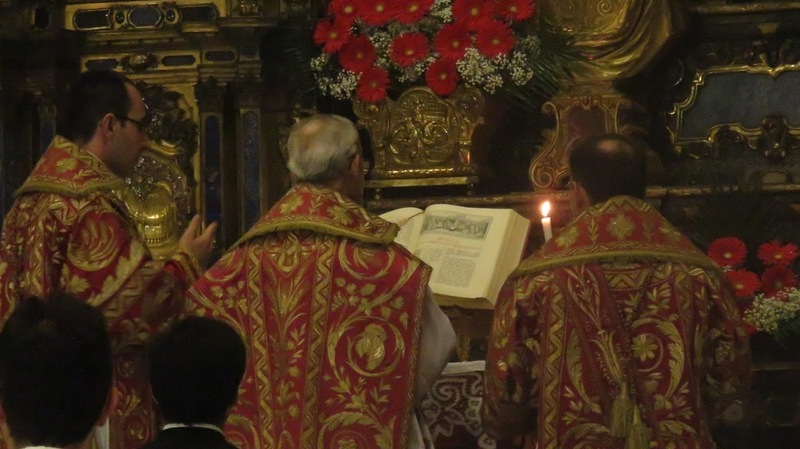 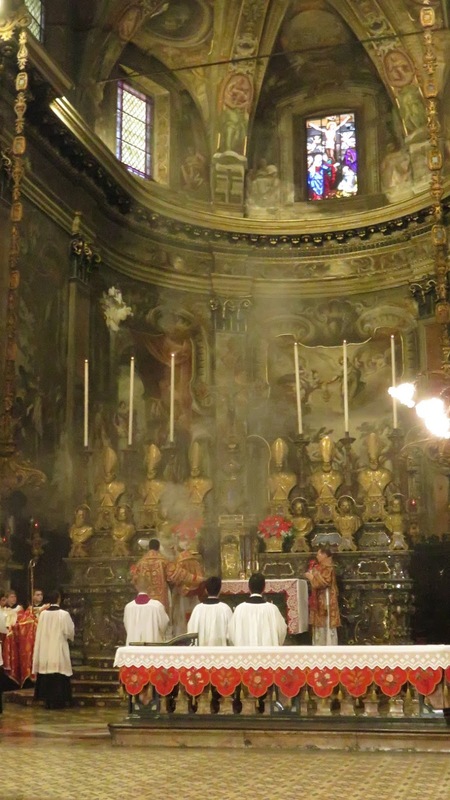 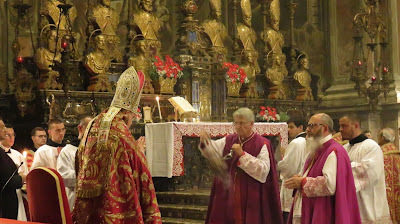 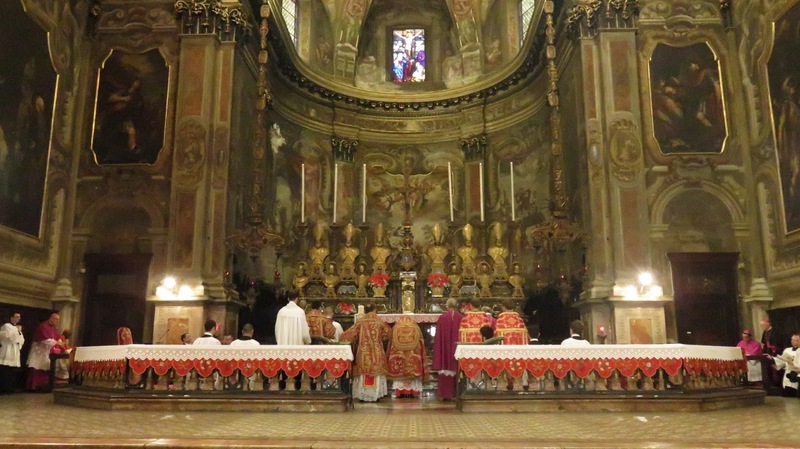 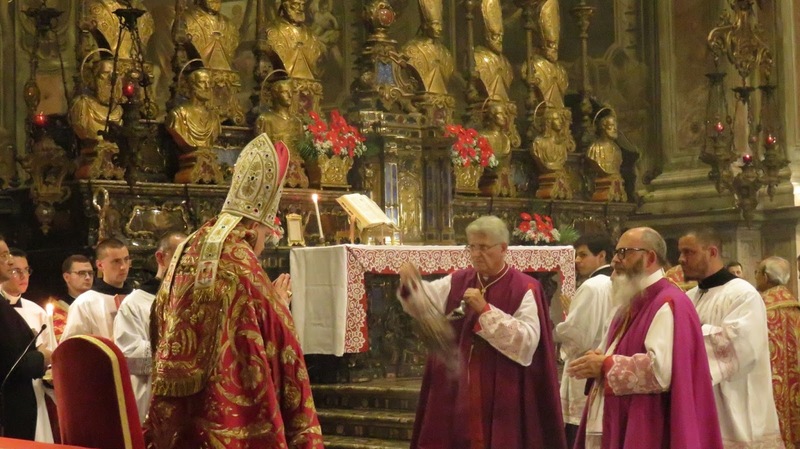 As part of that conference -- as is to be expected and as is appropriate and desireable -- the Ambrosian rite is front and centre in the liturgical celebrations. 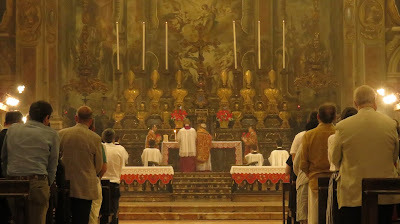 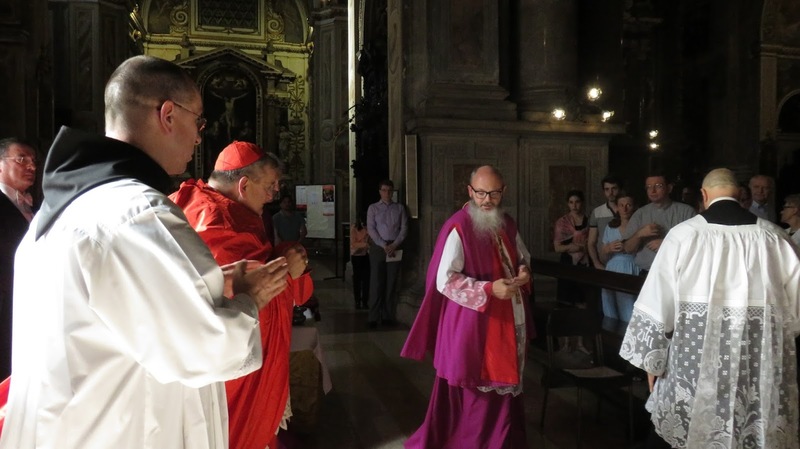 Today, a Solemn Mass in the Presence of a Greater Prelate was celebrated in the ancient Ambrosian rite in the church of S. Alessandro in Zebedia. 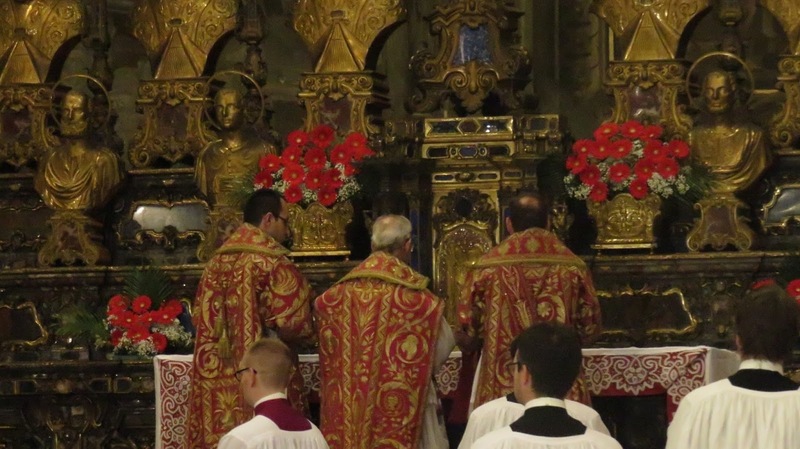 Here are just a few highlights. 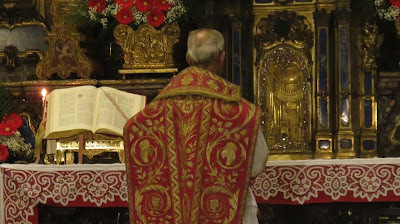 (Full photo album here). 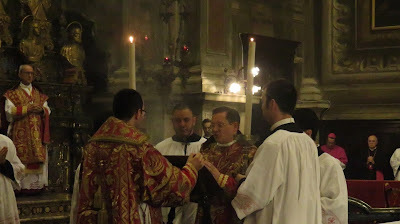 As an aside, some of you may recognize various elements from the Ambrosian rite that we have spoken of here on NLM before, such as the grammatae (the square apparel on the alb) and cappino (the rectangular ornament worn around the neck -- a remnant of the old apparelled amice); the uncapped thurible (a more ancient form of the thurible), the manner in which the chasuble is held during the incensations, and the position of the deacon and subdeacon at various points within the liturgy. 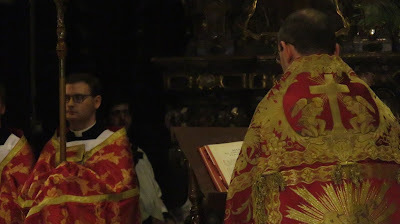 While not shown here in these photos, the ferula (a crozier like staff, topped by an orb instead of a the crook) was also in evidence today. Were this video, you would also see many other variances from the Roman rite in liturgical texts and ceremonial. For more information on the Ambrosian rite, do look in the NLM archives. 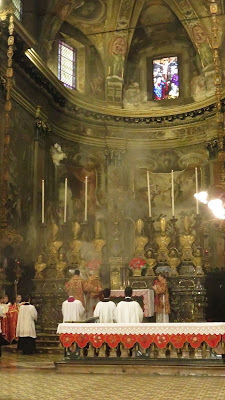 Without further ado, the photos.